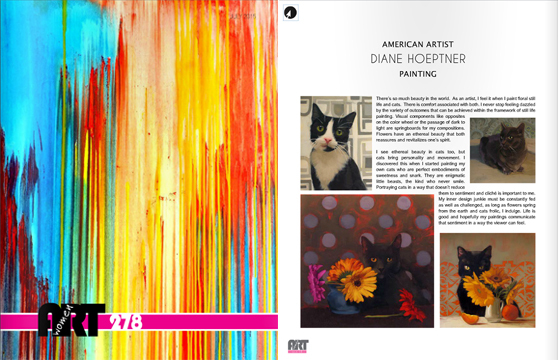 Women in Art 278 is a quarterly publication promoting art by women around the globe. I am pleased have a my paintings featured on page 15 of the July, 2015 issue. The magazine can be viewed online here. Cover art by Carla Sa Fernandes. Also, I judged the CFAI "Artist Showdown." It was difficult and fabulous on many levels. (not to mention an incredible learning experience) You can see the winning paintings here. Congratulations to artists Nancy Cuevas, Marilyn Flanegan and Deb Kirkeeide. Congratulations! Well deserved! It's great to see your paintings and I also enjoyed reading about your feelings on making art. Well done!!! Congratulations Diane, that is wonderful! That's fantastic, Diane! Congratulations, you deserve the recognition!